Hotel Plaza will recreate the atmosphere of the film "Home Alone 2"
Especially for the 25th anniversary of the cult film. Hotel Plaza launched a rally on the occasion of the 25th anniversary of the "Home Alone 2: Lost in New York," part of the filming which took place in a New York hotel. 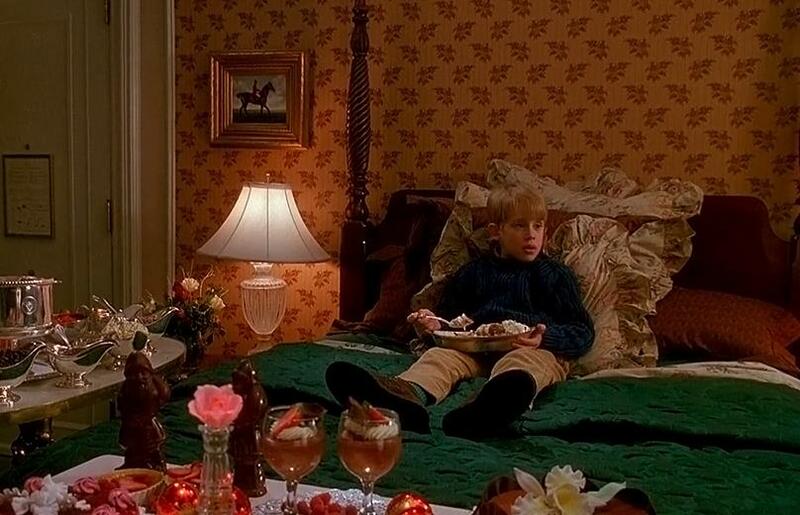 Now fans of the film can live in Kevin's room for 895 dollars per day. The price includes a backpack with the logo "Home Alone" and a set of four films. In addition, guests will be treated with ice cream with fruits, nuts and syrup, which the servant will serve. The program also includes a limousine tour to all the places where Kevin walked, free access to the top of the Empire State Building and a visit to the largest skating rink in New York, Wallman Rink. 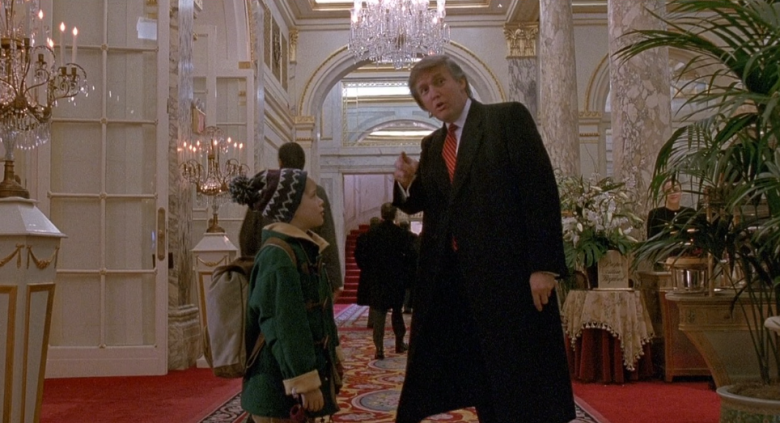 Trump in the film "Home Alone 2: Lost in New York"
If you can not afford to give $ 895 per night in a hotel, there is a comforting alternative - going to the exhibition, timed to the 25th anniversary of the film, with the possibility of shooting against the background of authentic scenery.